Powerpak Industries has been a family owned business since 1949. Powerpak has been leading the packaging community for over 50 years and trusted by companies all over the world. 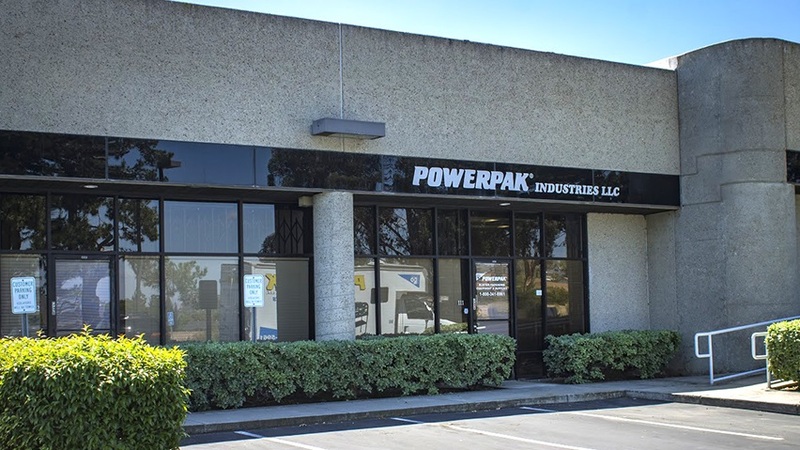 Since 1984, Robert Green, son of Peter Green, carries on the family tradition through the San Diego-based PowerPak Industries. 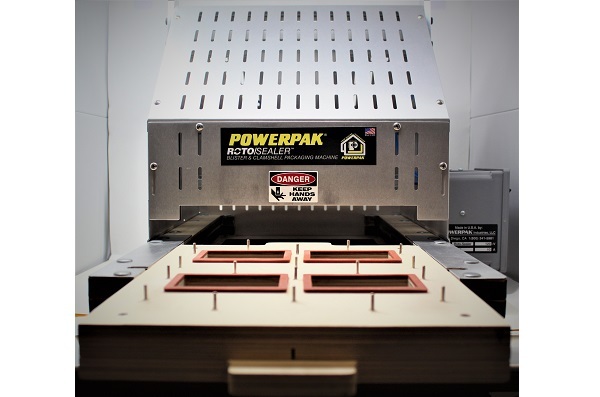 Building on the time proven rotary concept, PowerPak has developed new patented versions for sealing clamshells and blister packs; and continues to set new industry standards for reliability, portability and performance. 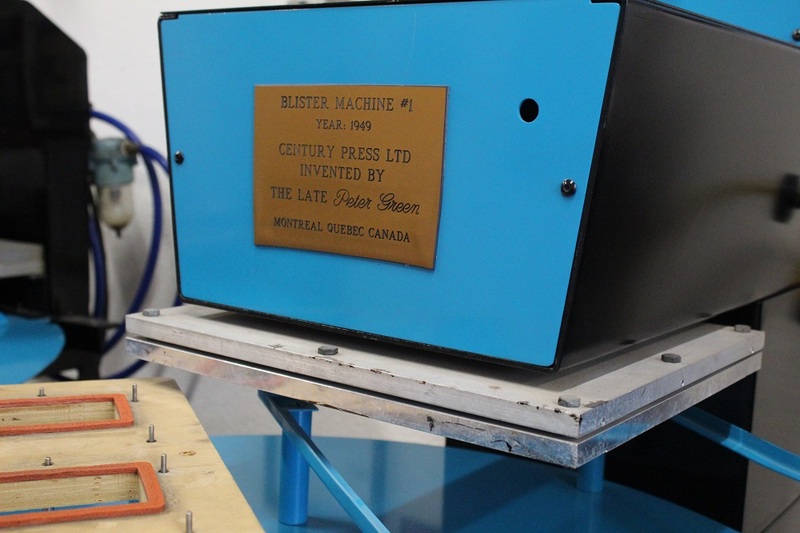 In 1949, in the city of Montreal Canada, Peter Green created the first ever blister sealing machine for retail packaging. 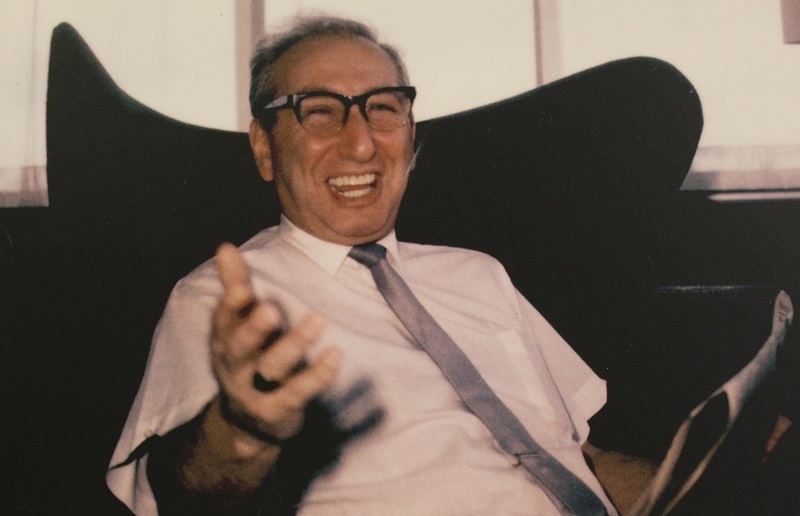 Peter, the inventor of the rotary blister-pack seal unit, was the pioneer and originator of the blister packaging machine. Through countless hours, hard work, and experimentation, he finally perfected the chemical relationship between board, and P.V.C. Peter Green’s main goal behind blister packaging, was to prevent pilferage. As well as being an excellent marketing tool, overtime it has become a highly preferred packaging method. A visually appealing package gives maximum product identification to the consumer. We supply all the services needed to get your product shelf-ready; from blister packaging/clamshell packaging, to the final process of sealing with our industry leading machines. At Powerpak, we believe you cannot win the respect and complete confidence of our customers without exceptional customer service and understanding of who they are and what their product is about. We thrive off our customers success. Your packaging matters; seal, after seal, after seal. We create custom packaging solutions that are suited for a variety of jobs such as blister cards, clamshells, and more. We supply all materials for retail packaging. We can refurbish machines, do custom package design, schedule demonstrations in the Southern California region and more! 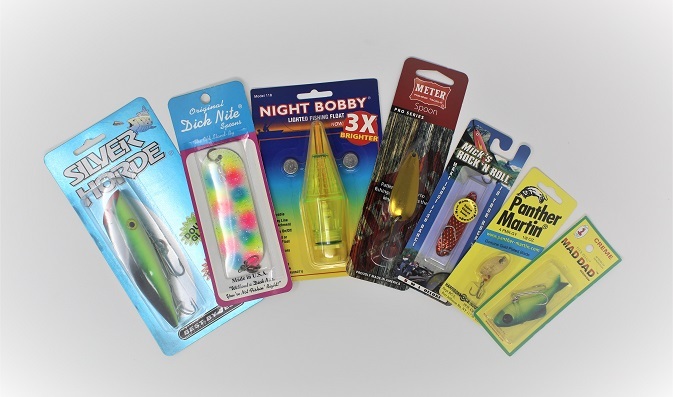 Call us now for cards, blisters, and a machine to seal your lures just like these. After manufacturing our machines for many years, we frequently come across our units. Then we completely refurbish the units to todays standards and save you as much as possible with a 1 year warranty. We're the Retail Packaging experts. Powerpak Industries have been the leaders in product packaging for over 50 years. We can design a custom packing solution to meet your needs. Interested in a demonstration of any of our packaging machines, and are located in the San Diego or Los Angeles areas? Let us come to you and demo our machines. We are passionate about helping you get your product shelf-ready. Read about what our valued customers have to say about us. If you need reliable, easy to use equipment and excellent personalized service, then I highly recommend Robert at Powerpack Industries. Herman Goelitz has done business with Powerpack Industries for a number of years. 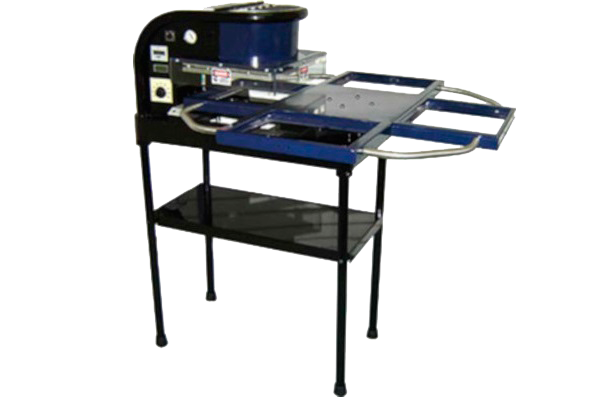 We have purchased two blister machines; one for our plant in Fairfield, California and a duplicate machine for our plant in N.. Innovative Arts Dental Laboratory Inc. Thank you for taking the time to speak with me. It is rare in these times for some one to be considerate and genuinely interested in another's situation. Thanks again for saving us from a balance-sheet-killing solution to the packaging requirement. We are both mighty impressed with your concept and how you follow it through. ...A professional presentation at retail and on-time delivery via efficient production is critical to our success at those locations. 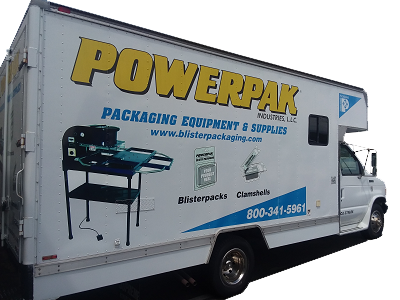 Power Pak has proven to be a reliable partner in helping us meet those critical requirements. 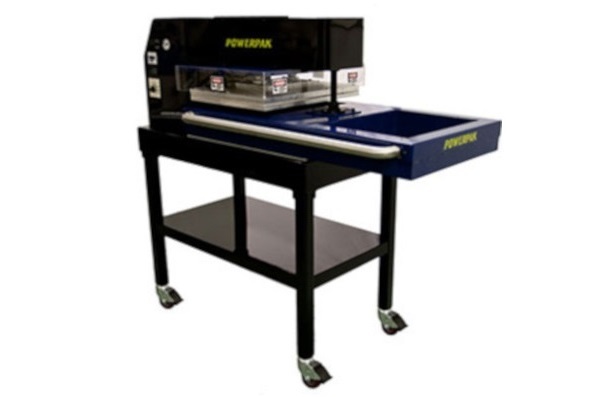 As our company continues to grow and the need for more sealing machines arises, we will continue to order from Powerpack. We highly recommend them! The ease of operation and the precision of the nest fixtures have most impressed us. We have packaged to date over a million lures using Power Pak machines, and highly recommend them. Thompson - Pallister Bait Co. Ltd. Interested in a demonstration of any of our packaging machines, and are located in the San Diego or Los Angeles areas. Are you based in Southern California? If you are based or in Southern California and interested in a demonstration of any of our packaging machines, we will come to you. Simply fill out the form below and one of our representatives will contact you to confirm a day and time. If you are not located in Southern California, please contact us for more information about our products and services.